Carmen Irons, a native of Miami Florida, pursued a double major in Performance and Education at the University of North Texas, where she received her Bachelor of Music Education degree and her Teacher Certification. Her cello teachers were Adolfo Odnoposoff and Carter Enyeart. She was a member of the Dallas Independent School District String Faculty for five years. Ms. Irons was an active freelance cellist in the North Texas area performing in various orchestras including the East Texas Symphony Orchestra, Waco Symphony Orchestra, Wichita Falls Symphony Orchestra and as a substitute with the Fort Worth Symphony. She also began her Suzuki training in Texas with Carol Tarr at the Fort Worth Suzuki Institute. After moving to Connecticut, Ms. Irons received the Master in Music Performance with Suzuki Pedagogy Emphasis from the Hartt School where she studied cello with David Wells and completed Long Term Teaching Training with Nancy Hair. She also has had additional Suzuki training with Teri Einfeldt and Sally Gross. Ms. Irons was a member of the Hartt Community Division String Faculty for twenty one years. During that time she taught Suzuki and Traditional private cello lessons, Suzuki group classes, and coached chamber music. Her students have performed and held titled positions in the Connecticut Youth Symphony, All Region Middle and High School Orchestras, Connecticut All State Orchestra, and several have been finalists in regional/national competitions. They have also participated in various summer music workshops including the David Einfeldt Chamber Music Institute (CT) New England Music Camp, Luzerne Music Festival (NY) Music Adventure (Italy) and the National Symphony Summer Music Institute at the Kennedy Center in Washinton DC. Ms. Irons has had students that were selected to perform in the Suzuki Youth Orchestra of the Americas at the SAA National Conference in Minneapolis, along with having had chamber groups selected to perform in the Chamber Music Master Class at the SAA Conference. Along with her work at the Hartt School, Ms. Irons has also been a guest cello clinician at the Ogontz Suzuki Insitute in New Hampshire and the Louisville Suzuki Institute at the University of Louisville. Ms. 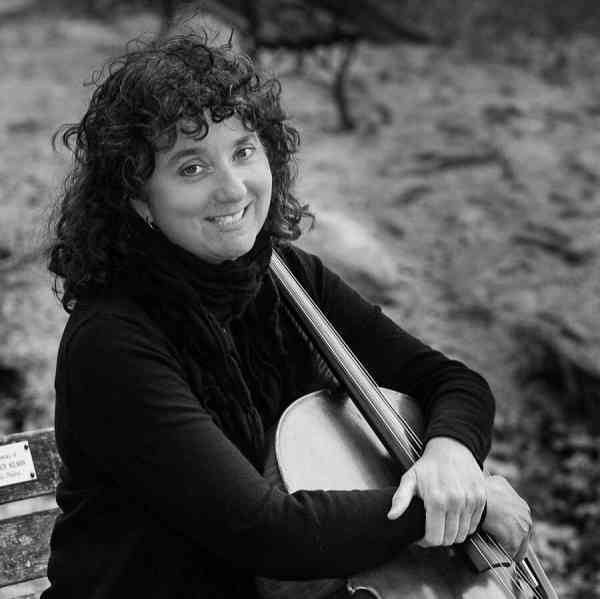 Irons has performed as a freelance cellist in the Southern New England area, having played in the Hartford Symphony, Springfield Symphony, Connecticut Opera Orchestra, and the Eastern Connecticut Symphony among others. She has also performed chamber music and in orchestras at various summer music festivals including the Waterloo Music Festival, Music at Penn’s Woods, and five summers with the AIMS Festival Orchestra in Graz, Austria. Currently, she has a private studio in Louisville, teaches for the University of Louisville Suzuki in the Schools Outreach Program, and is a freelance cellist in the Northern/Central Kentucky/Southern Indiana area. Ms. Irons is a member of the Suzuki Association of the Americas, American String Teachers Association, and the American Federation of Musicians.